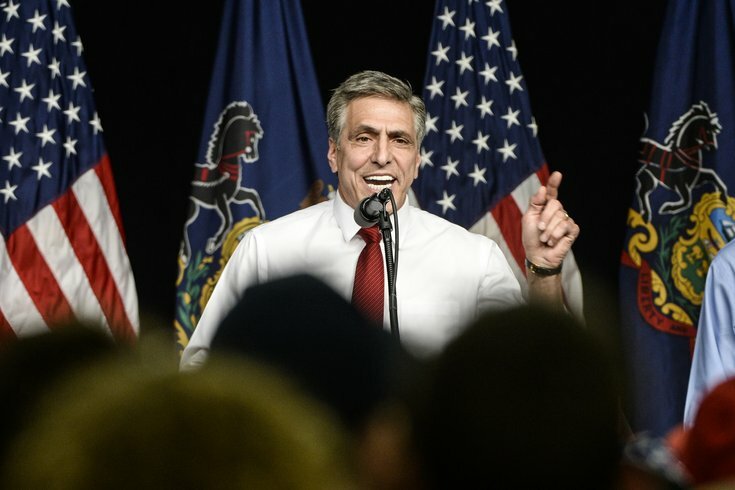 Congressman Lou Barletta, shown here during a 2016 rally for Donald Trump, will challenge Democratic Sen. Bob Casey in the fall. Barletta defeated state Rep. Jim Christiana in the Republican primary on Tuesday, earning a general election race against Pennsylvania's senior senator. Barletta, who has represented the 11th Congressional District since 2011, garnered 64.1 percent of the vote, according to unofficial results released by the Pennsylvania Department of State. Christiana, of Beaver County, gained 35.9 percent of the vote. Barletta was supported by President Donald Trump and the state GOP. On the campaign trail, he criticized Casey's opposition to the GOP tax cut and his support for Obamacare and sanctuary cities. Casey, of Scranton, is seeking his third term in the U.S. Senate. He ran unopposed on the Democratic ballot. The general election ballot also will include Libertarian Dale Kerns.